Keswick Mountain Adventures is a team of highly qualified and extremely motivated outdoor enthusiasts who love to pass on their mountain skills and knowledge to others. We’ve a fantastic pedigree, with over 37 years experience in teaching in the outdoors between us. We all live in or around Keswick and have outstanding local knowledge of the area with it’s classics and it’s hidden gems; it’s popular and it’s more tranquil spots. We work hard to provide you with the outdoor experience you want – although some people might not call it work – given that we get to spend all day doing the things we love. Our aim is to give you as much enjoyment in the outdoors as we get, now that is a tall order. 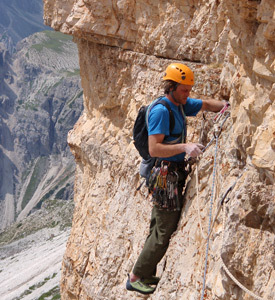 Mike Norbury is an all year round climber and mountaineer whose major passion is hard traditional rock climbing. 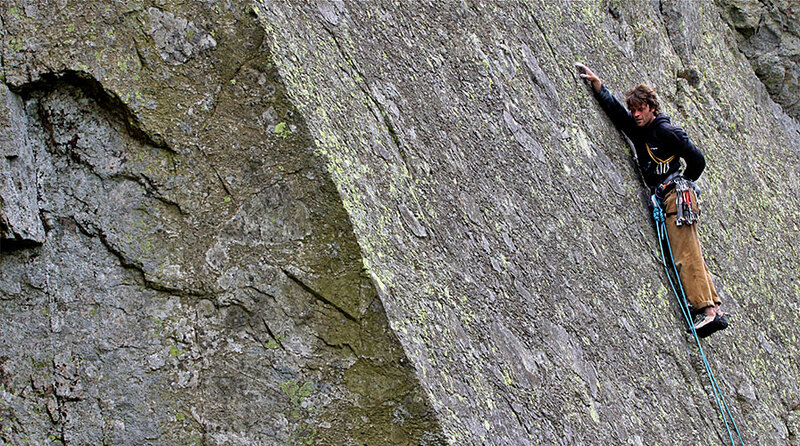 Most recent proud ascent was “Daylight Robbery” on Reecastle Crag in Borrowdale graded E6, 6C. Mike is based in the upper Borrowdale valley, south of Keswick, and has been climbing and mountaineering for 24 years and instructing for 19 years. He has attained his MIA and is a seasoned campaigner who has excellent local knowledge of the Lake District and a large number of high grade climbs to his credit. Mike also is a full member of AMI with full public liability insurance.